There was a time Super Falcons of Nigeria former goalkeeper, Ann Chiejine played through the Africa Women Championship in the year 2000 pregnant. 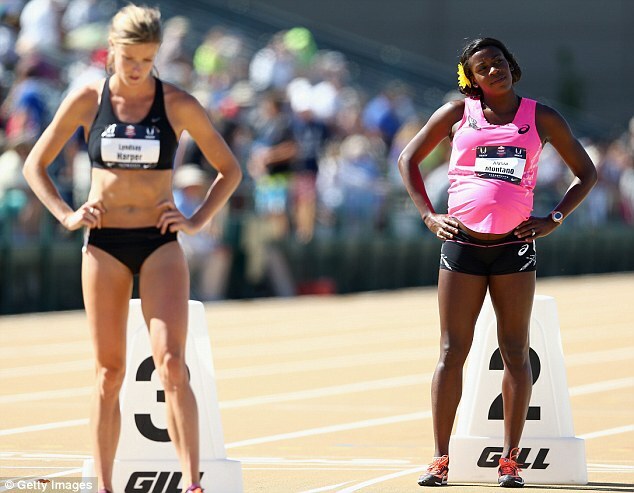 Now, the same played out recently, albeit, in athletic, wherein a lady ran 800 metres, very pregnant, with her big belly, about 7 months pregnant, unlike Chijiene who was about 3 month then. 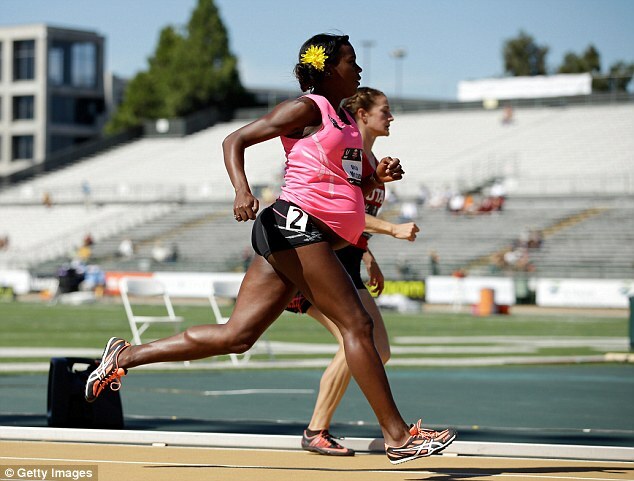 Alysia Montano ran the 800 metres at the US Track and Field Championships on Thursday, despite being 34 weeks pregnant. 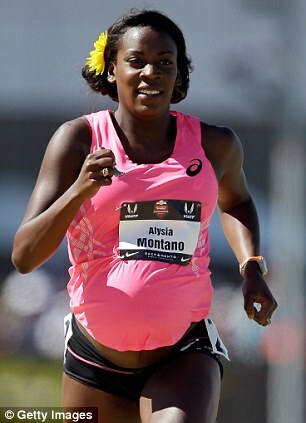 Montano, who is five-time national champion finished in 2 minutes, 32.13 seconds in the qualifying rounds, only seven weeks before she's scheduled to give birth to her first child. The fact that 28-year-old former University of California star finished last in her heat didn't matter one bit to the crowd gathered at Hornet Stadium. Trailing the lead pack by more than 120 meters for most of the race, Montano received a rousing ovation as she finished her first lap and the cheering grew louder when she finally crossed the finish line. Montano, who won the 800 national titles the past four years, was never in trouble of being lapped. She took a nice relaxed pace from the start and maintained it throughout. That was according to the plan Montano laid out after consulting with her physician. Not only did doctors give Montano the OK to run, they encouraged her. 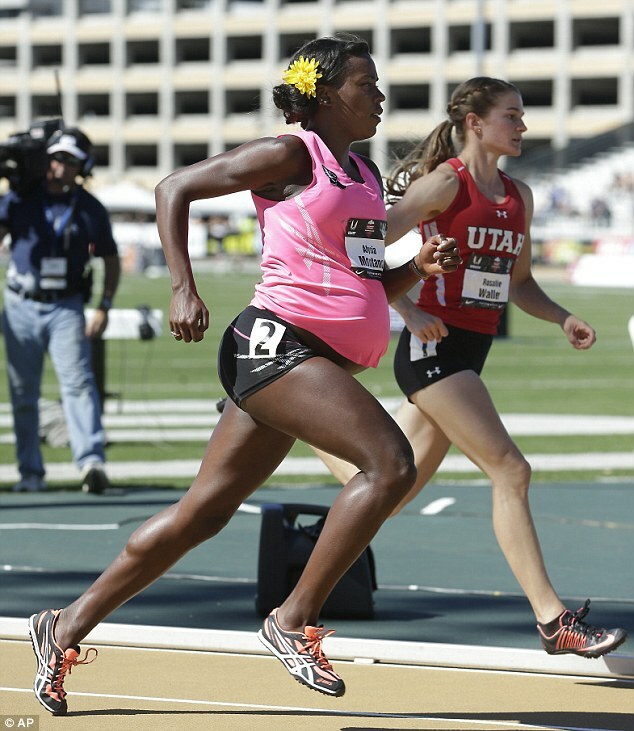 'That took away any fear of what the outside world might think about a woman running during her pregnancy,' Montano said. Imagine my wife doing a sport very pregnant. How will i react?